At 3:34 pm today (Monday, 10/30/17) #SpaceX successfully launched the #KoreaSat5A satellite atop a #Falcon9 rocket and, a few moments later, landed the first stage of the Falcon aboard the "Of Course I Still Love You" droneship about 400 miles out in the Atlantic. 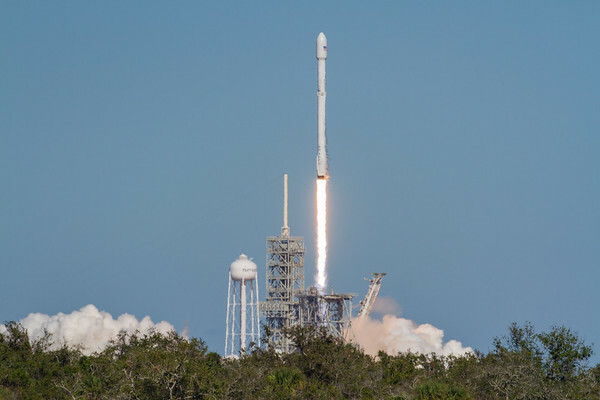 At 3:34 pm today (Monday, 10/30/17) #SpaceX successfully launched the #KoreaSat5A satellite atop a #Falcon9 rocket and, a few moments later, landed the first stage of the Falcon aboard the "Of Course I Still Love You" droneship about 400 miles out in the Atlantic. 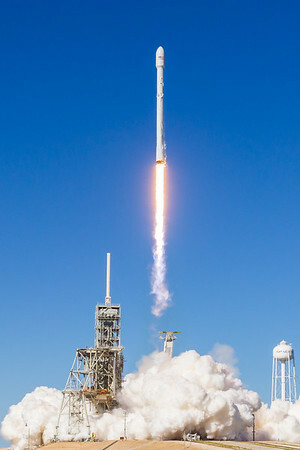 This is the rocket, clearing the tower as seen from a remote camera placed near the hangar, with the crawlerway in the foreground. At 3:34 pm today (Monday, 10/30/17) #SpaceX successfully launched the #KoreaSat5A satellite atop a #Falcon9 rocket and, a few moments later, landed the first stage of the Falcon aboard the "Of Course I Still Love You" droneship about 400 miles out in the Atlantic. This is the view from the Kennedy Space Center Press Site, with the countdown clock and the SpaceX webcast visible to the right. I'm sorry, but, I'm not sorry. The Press Site flag + countdown clock + rocket (!) combination is just too good to not turn into a Tiny Earth photo. 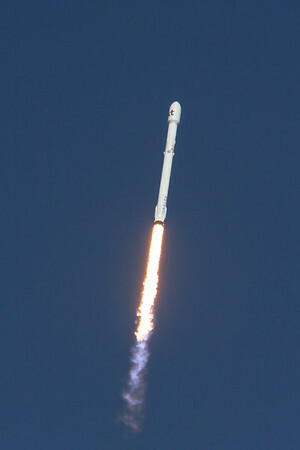 So, may I present the #KoreaSat5A #SpaceX #Falcon9, in Tiny Earth form. 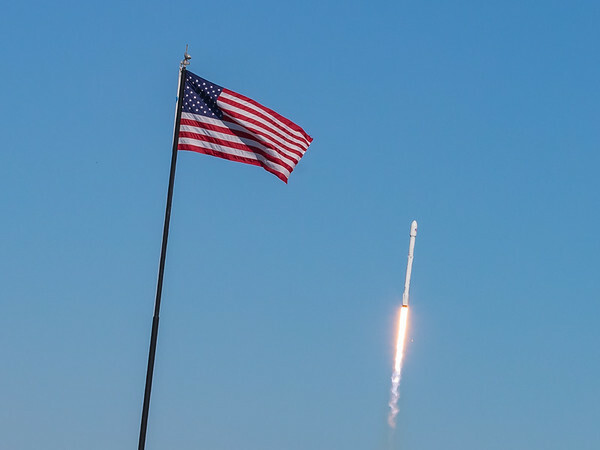 At 3:34 pm on Monday, 10/30/17 #SpaceX successfully launched the #KoreaSat5A satellite atop a #Falcon9 rocket and, a few moments later, landed the first stage of the Falcon aboard the "Of Course I Still Love You" droneship about 400 miles out in the Atlantic. 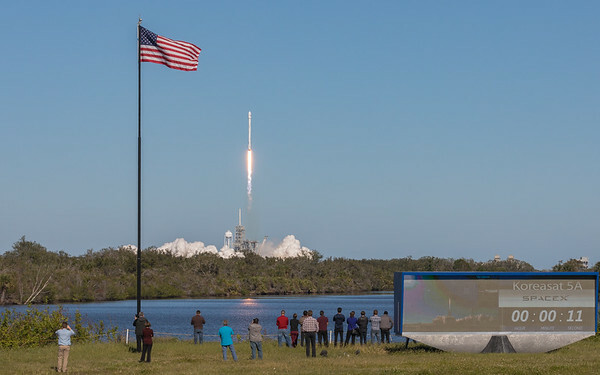 This is the view from the Kennedy Space Center Press Site, with the countdown clock and the SpaceX webcast visible to the right. 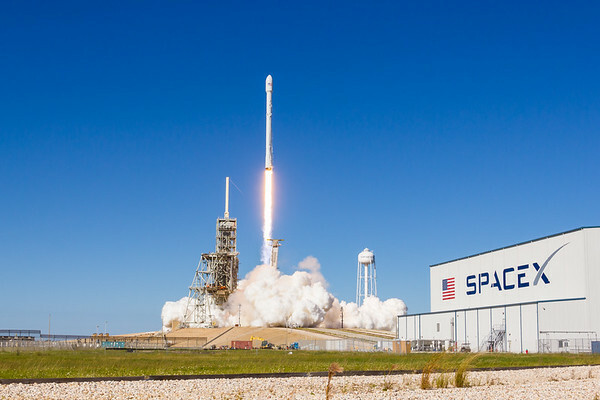 At 3:34 pm today (Monday, 10/30/17) #SpaceX successfully launched the #KoreaSat5A satellite atop a #Falcon9 rocket and, a few moments later, landed the first stage of the Falcon aboard the "Of Course I Still Love You" droneship about 400 miles out in the Atlantic. 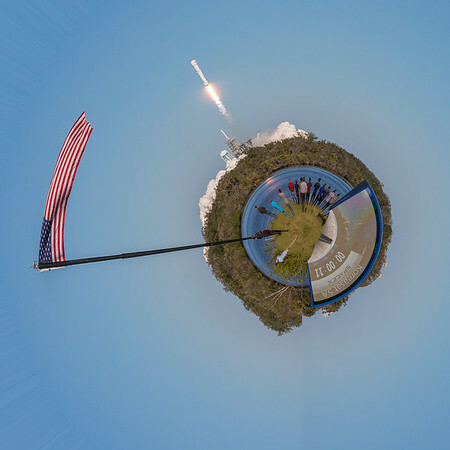 This frame captures the rocket and the flag at the Kennedy Space Center Press Site. 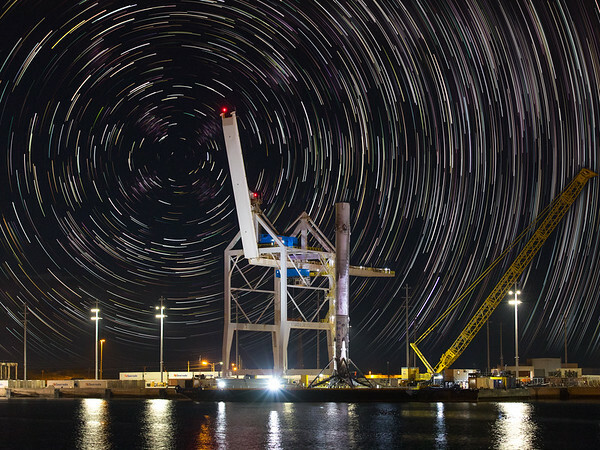 SpaceX Falcon 9 in Port with some North Star Trails. (Full disclosure: I've taken some liberties with this image, AKA how I deal with missing epic shots of a rocket arriving in port at sunset.) I wasn't able to see the #SpaceX #KoreaSat5A #Falcon9 arrive in port last Thursday (11/2) night because I had a previously scheduled dinner for work. (The Health First Foundation was recognized with a Humanitarian award; it was lovely.) The sunset arrival was beautiful, and well-covered by many excellent photographers, too many to mention here (but I will note that Julian Leek was one of the few I saw who managed to work the nearly full and rising Moon into his shots.) I did manage to make it to Port Canaveral late that evening to see the landed first stage and snapped some images. In the sky, in the general direction of the rocket was, in fact, Polaris, aka The North Star. So, that's what this interpretation represents: one hour of star trails (literally) above the rocket. I say literally because I wasn't getting great long exposures pointed directly at the rocket, so, this is a composite of two frames. The first is with the rocket (ISO2500, f4, 1/6 sec at 70mm) and then the second was taken just above the freight crane (ISO640, f2.8, 4 secs at 70mm). I didn't have time to hang around for an hour (I had a 7:30 am meeting the next day. ), so using Photoshop, I "turned" that star field around the North Star 15 degrees, creating fake but generally accurate star trails. 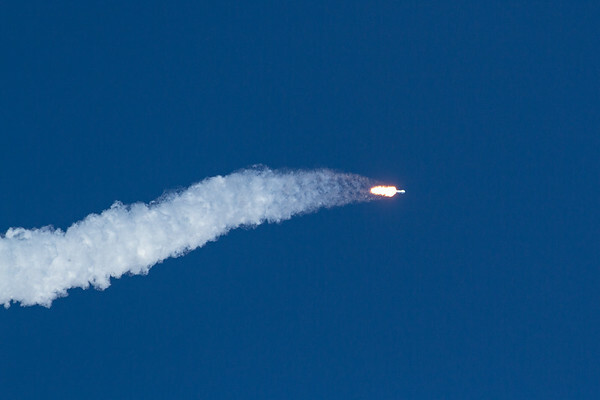 And then that became the sky behind the rocket using a tedious layer mask. I'll add that after Googling how to do this, it seems that the fake star trail method is used more often than I realize, and many photographers aren't inclined to disclose their process. Enjoy.